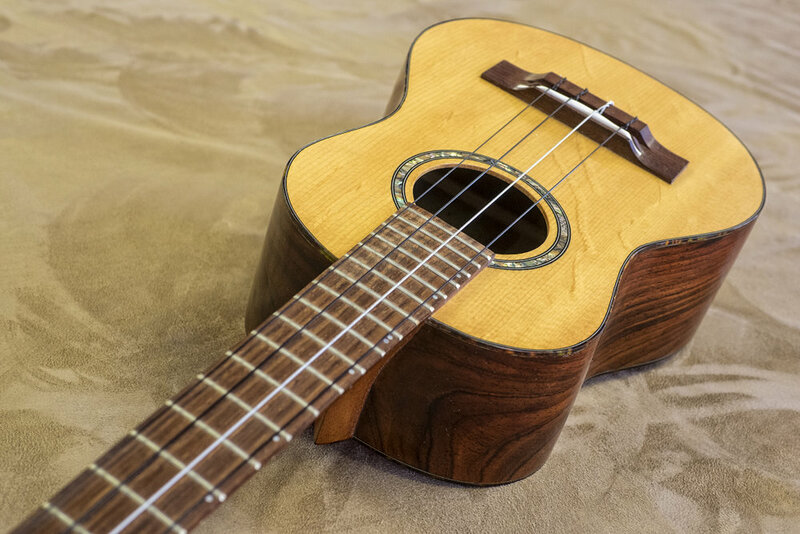 Our tenor ukulele is most famously fabricated from Kentucky Black Walnut or Black Locust. All sweetness and all fun, our uke holds its own against the best factory brands. We option these with Spruce tops, and inside the round soundhole is a great place to put your own legacy label! One of our most popular classes! Available with nickel or gold Grover tuners. Tuition $1,200 including all materials and hardshell case.